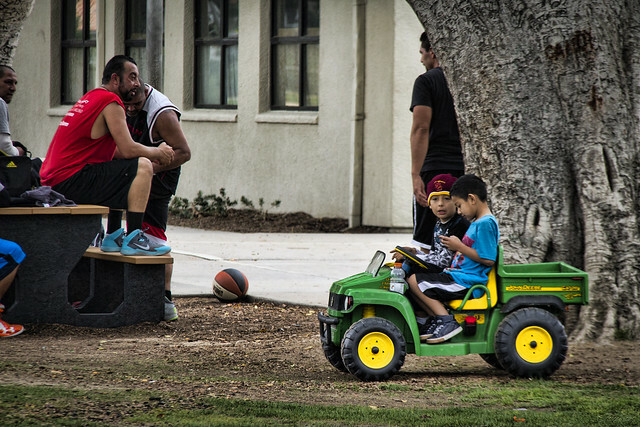 While the big boys play a game of pick-up basketball, what do the little boys do? They drive around in their John Deere tractor. "Tractors, trucks, and toys, there's nothing quite like little boys."